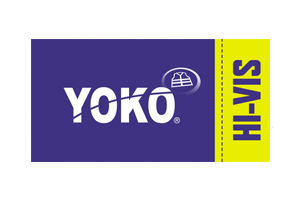 YOKO International Ltd join Print & Stitch shows! We are happy to announce that YOKO International Ltd will be joining the rest of the 2019 shows! YOKO provides modern and stylish workwear combining high visibility features and amazing fit and great comfort with advanced functionality. They are committed to promoting your professional corporate image and providing stylish personal protection in all environments. In 2019 they proudly presented a number of new exciting products to the market, including a new range of Hi-Vis Fontaine Storm & Flight Jackets and a collection of Black and Navy Polos, T-Shirts and Pull-Over & Zip Hoodies etc. YOKO will showcase these products at the Print & Stitch roadshows and you will find they are smartly designed and well made and decoration friendly.